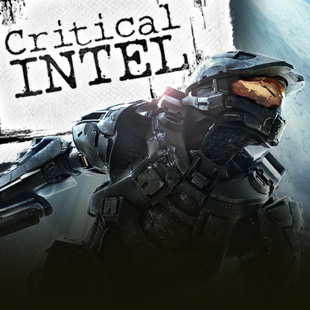 I never wrote about Halo 4 when it came out back in 2012. There were a lot of reasons why it didn't make a column, but the chief one was that I wasn't sure how I felt about it. The gameplay came in solid. I liked the new enemy types. 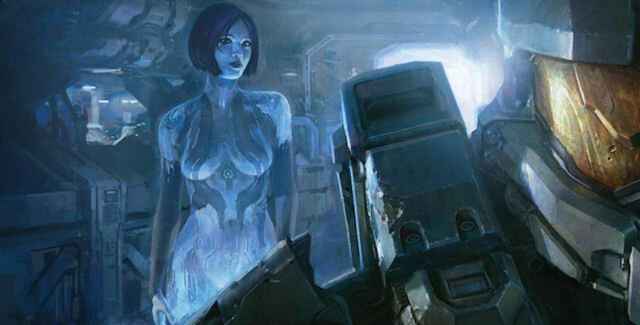 The writing - especially concerning Cortana's rampancy and eventual death - was stronger than it had ever been. But when I put down the controller I couldn't shake the feeling that something, maybe the whole thing, was wrong. Oh, it was unnecessary, that's for sure - conceived to make money rather than tell a story - but what nagged me was a sense that it actively undermined what had come before. It was only when 343 Industries announced Halo 5: Guardians last week that I finally nailed it down: Halo 4's tone didn't jive with what came before. To understand what's wrong with Halo 4 you have to look at the promises Halo 3 made to the player. Even though we all knew the series would continue, there was an air of finality to Halo 3. You need look no further than the marketing - which encouraged you to "Finish the Fight" - to see that Bungie intended the game to close out the original trilogy's story arc. But it was the way they closed it that set subsequent installments up for failure. Halo's storytelling has never been original, but Bungie does have a knack for memorable characters and broadly identifiable themes. Yes, they steal, but they know what to steal, pillaging players brains of past acquaintances. Sergeant Johnson is Apone from Aliens, Gravemind is Audrey II plus a 20-year Marlboro habit - it's a smart way to create a cast with little need for introduction or development. It's the same trick Agatha Christie pulled in her mystery novels, employing recognizable character archetypes so she didn't have to take time away from the mystery in order to build a supporting cast. When her readers saw, for example, a flirtatious tennis instructor, their preconceived notions filled in who that character was and how they felt about him. The same is true with Halo: we like these characters because we've liked them before - and that gives them some borrowed resonance. Is that cheating? Yeah, it is, but it's smart cheating at least. The series' plot uses the same tactic: cribbing notes from other media along with a heavy dose of Joseph Campbell. It's why the plot, thin as it is, still has a certain power. We get the major story beats through cutscenes and subconsciously fill the gaps as we play, bringing our memories of other stories to bear. Halo isn't so much a colorful narrative as it is a coloring book - it provides the boundaries and we fill them in. These broad strokes are why players have read so many things into the game, from religious allegories to a critique of the War on Terror. But while every Halo uses archetypes, Halo 3 ends with a very specific one: the sleeping messiah. Understand that by "messiah," I don't necessarily mean Jesus (though he fits the archetype too). Picture instead King Arthur: mortally wounded in his moment of triumph, spirited away to Avalon, watched over by maidens until the day he returns to save all Britain from a great peril. This is what Halo 3 references when Master Chief lies down in the cryonic tube with Cortana standing guard. Even the Chief's last words as he closes the glass casket, "Wake me when you need me," promises the same return, a resurrection during Earth's darkest hour. Again, while the scene itself isn't especially well-crafted drama, the myth it invokes remains powerful. But here's the problem: for this story to work, the hero can't wake up. The most important part of this myth isn't in the text, it's what the text conjures in the reader's mind. After the Pyrrhic victory, the story shifts from a tragic tone to a hopeful one. Though the hero is gone, he is not dead, and will one day deliver us from evil. But the key phrase here is one day. The hero's return, whether it's Arthur saving Britain or Jesus defeating evil and establishing his kingdom, always exists in the future. The story's whole function depends on it.